I wanted to share some snaps Kyle took while we were at the Cider Mill the other day! Cold Hollow Cider Mill is located in the scenic Waterbury Vermont which is just a short drive from Stowe. While at the Cider Mill you can enjoy fresh cider donuts (made right in front of you) - fresh hot or cold cider, maple coffee and much more! Inside the Cider Mill you are able to watch the apples be pressed into cider in a viewing area- they also provide explanations as to how the cider is made and packaged! Inside the mill store are many Vermont made products- from jams to dip and soup mixes! Outside the Cider Mill there are picnic tables, swinging chairs, a gazebo, and across the parking lot a restaurant! 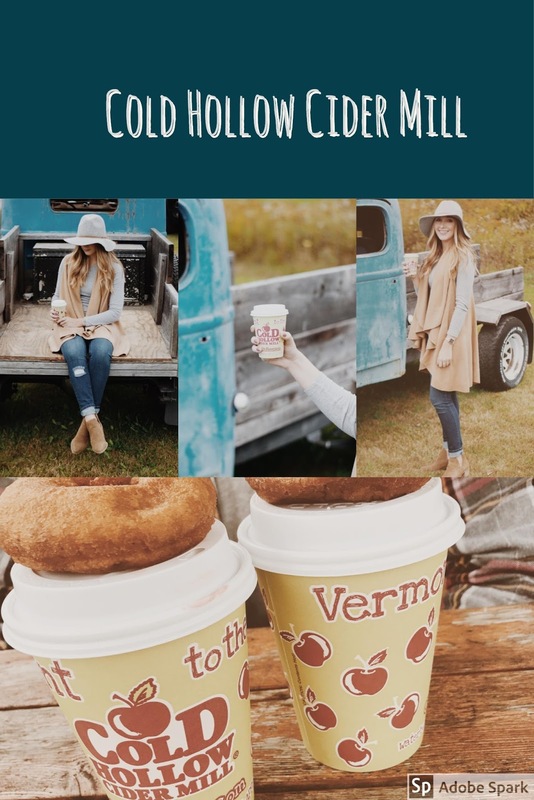 If you're visiting Vermont or the area I suggest you add this to your to do list it's the perfect fall activity! The day we went up to the mill was quite chilly so I chose to wear this wool hat I snagged at Target- these type of hats actually keep you surprisingly warm! I paired the hat with simple denim & a long sleeve tee with the coziest shawl vest I picked up at a boutique in Boston, but luckily it's also available online & comes in so many colors! Do you have any places like this where you live!? This just creams fall! I need to go visit one soon! Love the outfit you paired with this too! I stopped there on Sunday! It is such a nice little fall spot!! This is awesome!! I definitely need to go here. Love these shots! Sounds like you had a fun day! Your photos are great, and I am so jealous that you have a cider mill nearby! I would love to get freshly made cider and cider donuts this time of year. You're outfit is so on point! Love me some fall fashion!! Love the entire outfit! Especially the booties :) My favorite part of Fall! 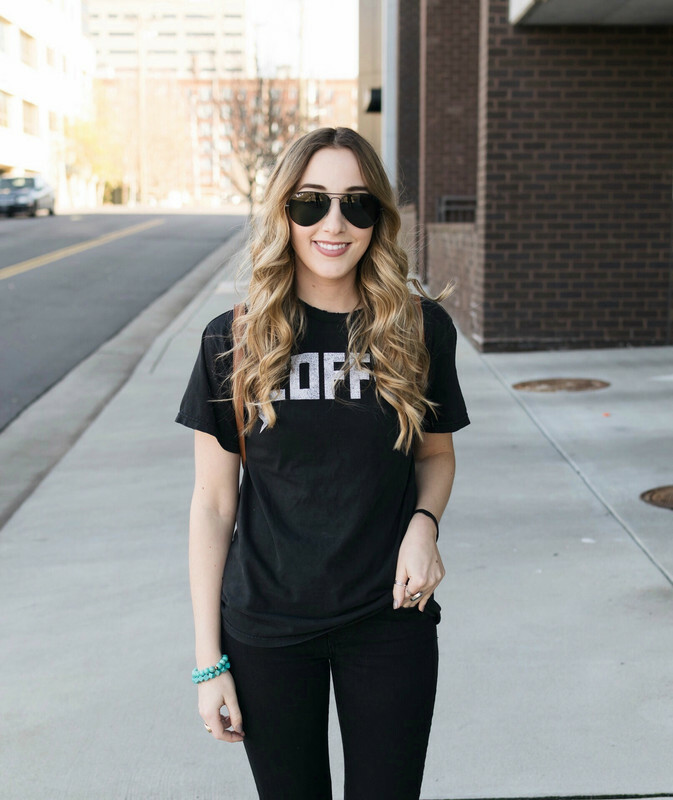 This place looks perfect for fall and so does your outfit! WOW that sounds amazing! I've been craving hot cider lately since the weather turned. This trip sounds so fun! I LOVE your cute cozy outfit here! Your hat looks great on you! Those cider donuts sound amazing! Also, I love your outfit! These photos are so gorgeous and have me dying to get out and frolic in some leaves! Your outfit is ADORABLE - such a great fall look and the cider mill sounds amazing!